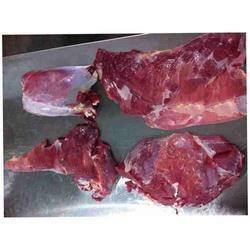 Prominent & Leading Exporter from New Delhi, we offer frozen fresh buffalo meat for hotels. We offer a variety of Frozen Fresh Buffalo Meat for Hotels to our clients. The offered meat is processed with the help of finest quality flesh and advanced processing techniques at our vendor’s end. All products are duly tested for quality compliance by a team of highly qualified and skilled quality controllers employed by us. Our customers trust us for the best products time and again offered at industry leading prices.